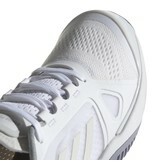 One of our favorite shoes here at TennisTopia. 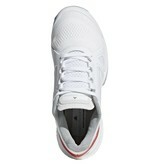 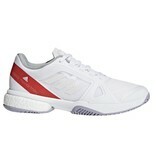 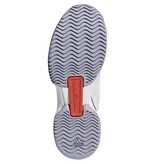 adidas by Stella McCartney's Barricade Boost women's shoe in white & red keeps ladies stylish and satisfied. 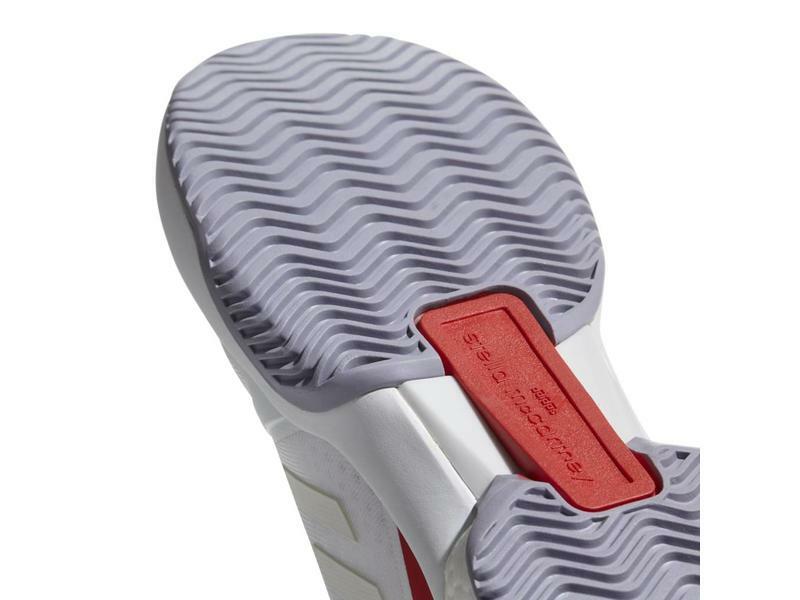 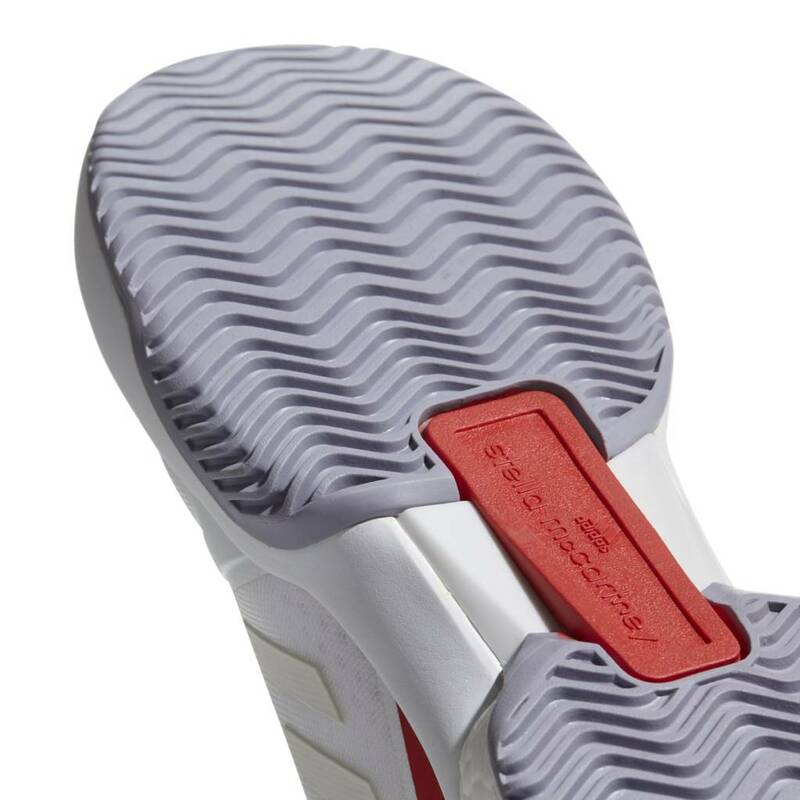 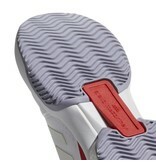 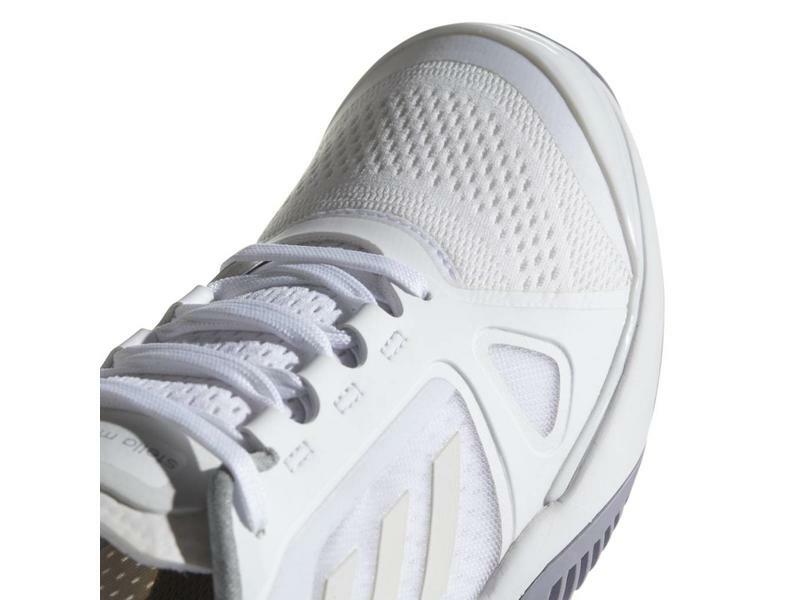 The Barricade line has been a mainstay of adidas for almost 2 decades due to its' durability and stability. 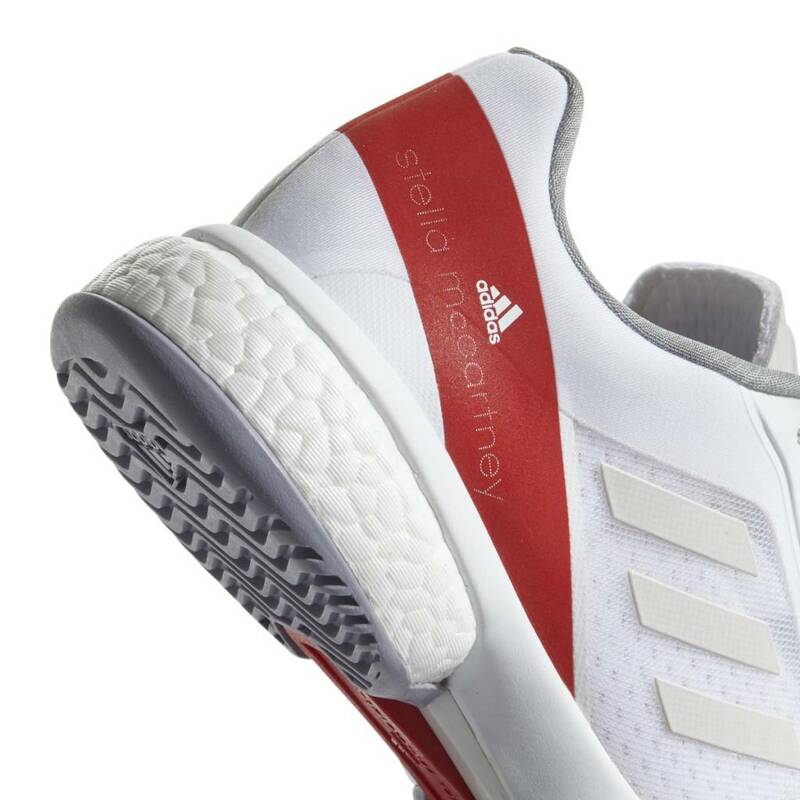 adidas decided to partner with Stella McCartney to put the finishing touches on this shoe, its style & sleekness. 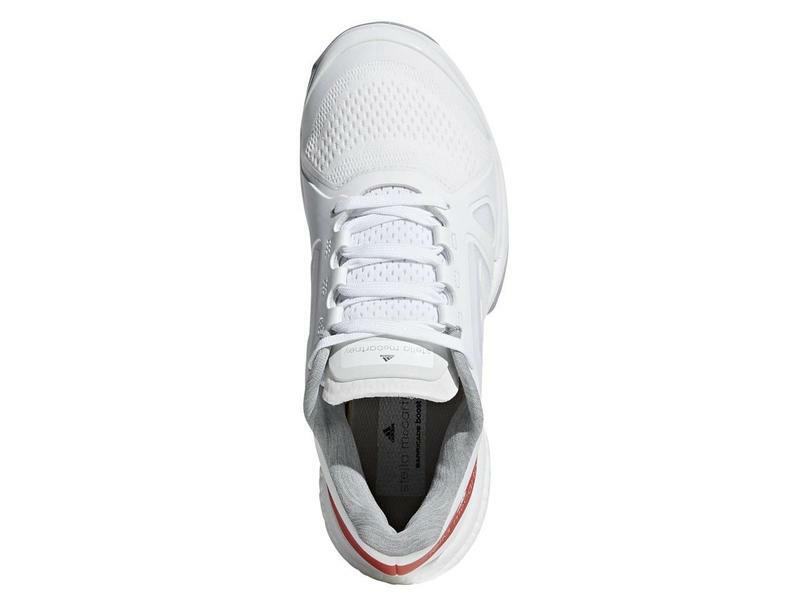 The shoes durability doesn't have to mean clunky and chunky. 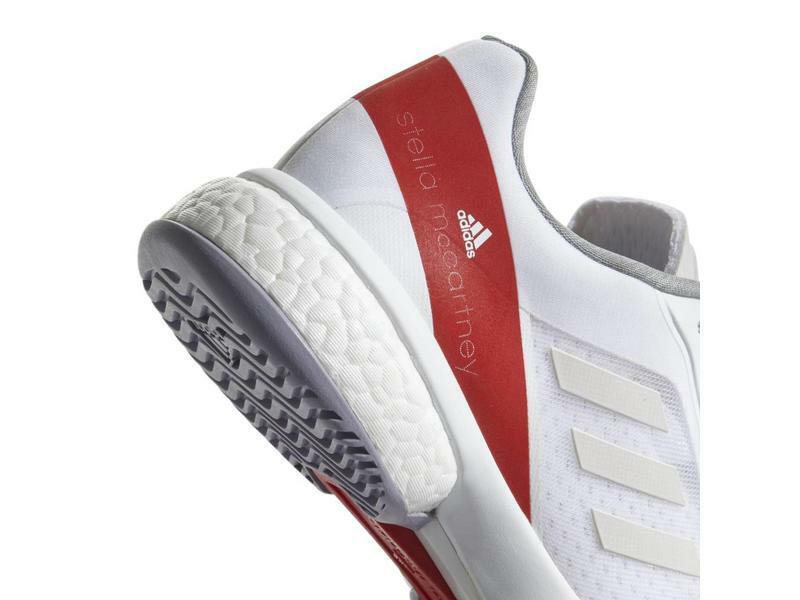 Using today's leading shoe technologies, adidas is able to construct a shoe with thinner materials without sacrificing durability. 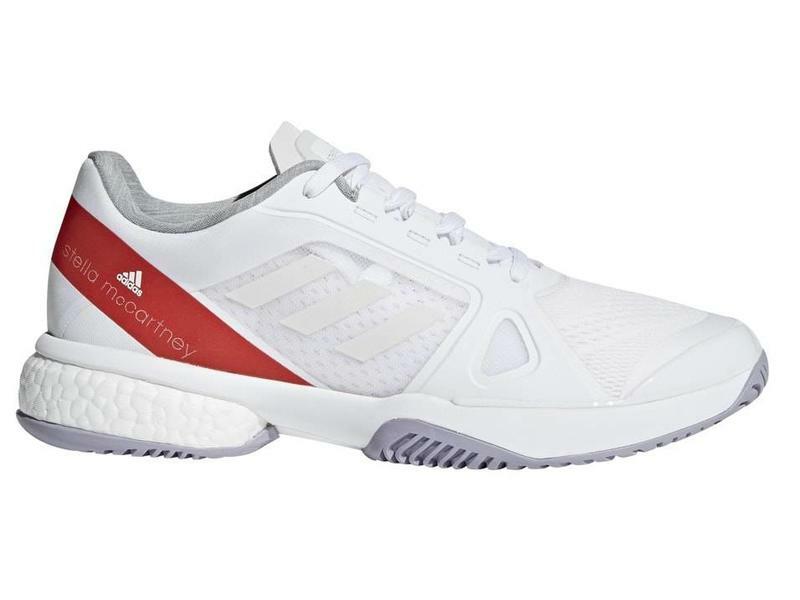 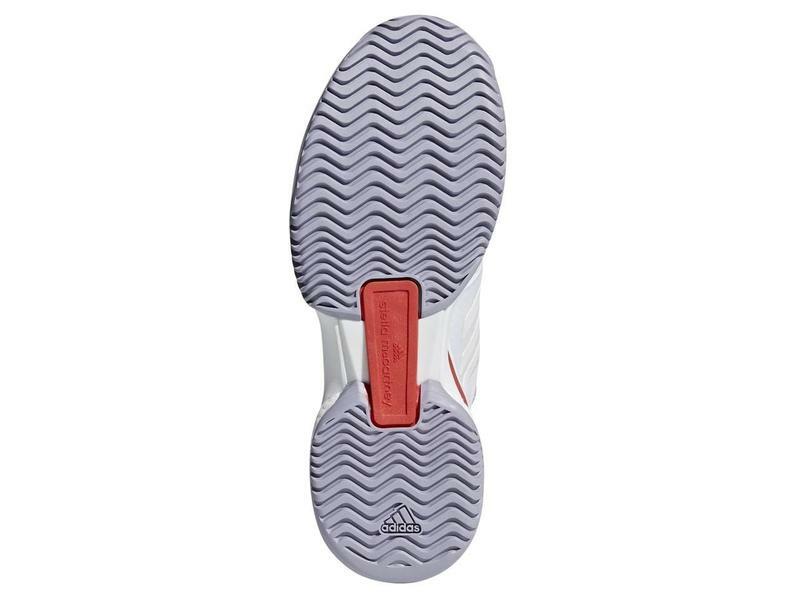 This Barricade Boost is for the tennis player looking for both performance and style put together in a elegant white & red shoe.